Afternoon Delight the first Monday of the month 2-4pm at Hayton Village Hall. Refreshments and cake. Come and have a drink and a chat, no charge! A new page has been added with details about the Neighbourhood Planning Process . See here for more details. 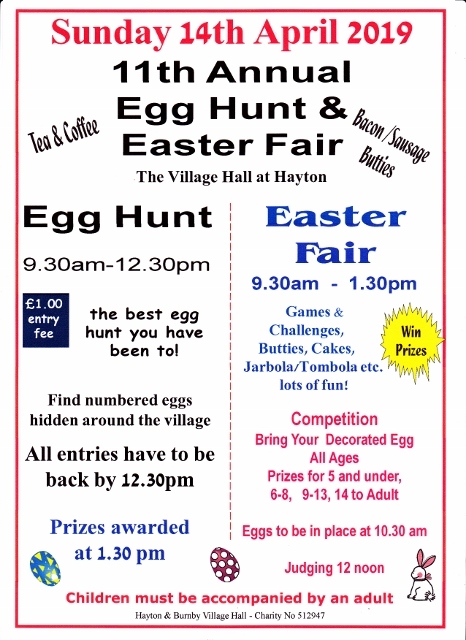 Welcome to the website of Hayton and Burnby Parish Council. Reporting Potholes or damage to roads and pavements. If you see damage to the roads or pavements you can report it directly to East Riding of Yorkshire Council by clicking here. This plant is growing alongside the beck. It forms dense stands which stop the growth of grasses and other plants leaving the banks bare of growth in winter and liable to erosion. To find out more about this plant and how to control it please click here for an information sheet provided by the Centre for Ecology and Hydrology.